In the stereotypical ideology of Western societies, a communist party can only work within a system of public ownership. It is therefore hard for them to imagine how the Communist Party of China (CPC) has worked in a city where 95 percent of the economic volume is produced by private enterprises. Jinjiang, a city in southeast China's Fujian Province, provides the answer. Since adopting the reform and opening-up policy 40 years ago, China has made eye-popping achievements. But with the private sector growing to become one of the driving forces behind the country's economic progress, there are some doubts about the term socialism with Chinese characteristics, and many wonder whether the CPC has steered away from its foundation of governance due to this development. If this theory were correct, then it would be a headache for the Party to conduct its work in a city like Jinjiang, where more than 50,000 private enterprises are located. The real picture, however, proves the opposite. 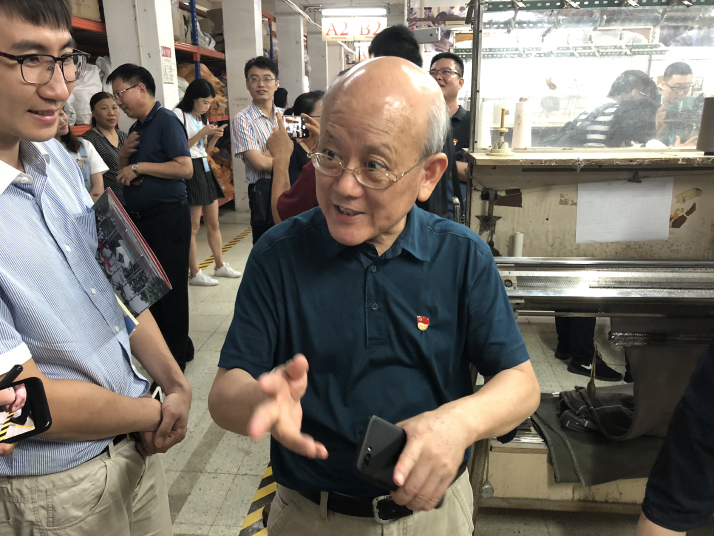 Zhou Li is secretary of the CPC Committee of the Jinjiang-based Fujian Seven Brand Group Co. Ltd., a major men's clothing brand and a private enterprise. Zhou also works as director of the purchasing department in the company, which was the official clothing supplier for APEC China 2014. Zhou is very clear that the owner of the company aims to make money. But Zhou also thinks that Party building is crucial to production and forms the core competitiveness of the company. This view has practically become the consensus among private entrepreneurs in the city. In 1986, Jinjiang's first CPC organization in the private sector was set up at the Heng'an International Group, a leading producer of sanitary napkins and diapers in China. Now, after more than 30 years of development, there are more than 1,200 Party organizations and more than 6,000 CPC members in private companies in Jinjiang. Many of these Party organizations are listed as among the most outstanding on national and provincial levels. Jinjiang has included Party building in private companies and social organizations as part of the overall Party building scheme. It has established an efficient operation mechanism to optimize Party resources within private companies. Every leader who is a Party member within the local Jinjiang government is assigned to connect with Party organizations in one or two private companies. They visit the companies from time to time, listen to suggestions, talk with people and help find solutions to specific problems. Subsequently, this has enhanced the communication between the entrepreneurs and the government. As a matter of fact, in the early stages of reform and opening up, the Party organizations in some foreign-funded companies in Jinjiang took the lead in establishing factory committees to help solve conflicts between factory leaders and foreign managers and improve production procedures. Party organizations play an important role in these enterprises. For example, there are two doorplates on Zhou's office: one is Party Secretary Office and the other is Duty-Related Crime Prevention Office. With full support from the Party committees within the private sector, each enterprise has set up a disciplinary commission and improved their duty-related crime prevention mechanism. This has helped to prevent and correct improper actions that have negative effects on the company's image, which has led to support and praise from both entrepreneurs and workers. Many entrepreneurs take the initiative to help Party committees in conducting such activities. In addition, the Party organizations work on increasing productivity and enhancing the managing capability of the companies. Ren Hongjian, head of the suit production management department at the Seven Brand Group Co. Ltd., is among the first batch of members since a Party organization was set up in the company. He led his team, with Party members as the backbone, to making a number of breakthroughs in upgrading the production processes. Production efficiency has been increased by 8 percent. The cost of every pair of suit pants was also reduced. The team even developed an automatic production line that reduced labor costs and the probability of error. To make Party-led teams the backbone of innovation in improving production efficiency and lowering costs is one of the major projects of Party organizations in private companies. 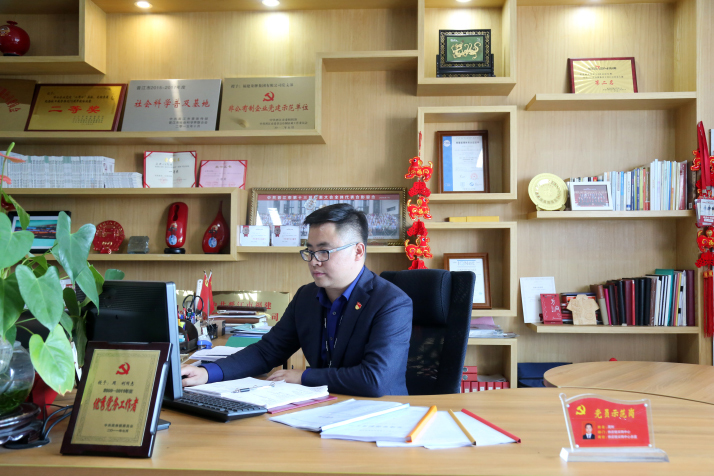 The South Asia Group, located in Jinjiang's neighboring city Nan'an, is among the first group of private companies in China that set up Party organizations. At this Hong Kong-funded company, 30 percent of senior executives are Party members and 61 percent of Party members are in executive positions. In March 2017, Wu Zhixiong, Chair of the Board and President of the Linewell Software Group, based in Quanzhou City, Fujian Province, initiated a vote at meetings of the board of directors and stockholders where it was agreed to include Party building in the corporate charter. It became the first listed company in China to do so. This was due to Wu's witnessing all the work done by the Party committee, seven Party branches and all the Party members in the company. Wu's action is regarded as an affirmation and recognition of the long-time exploration by the CPC on how to conduct Party activities in private companies. Party organizations in private companies have dual functions. As the primary-level organizations of the CPC, they have political functions in implementing the measures and policies of the CPC, and as part of the company, they also shoulder managerial functions. Party organizations are, of course, different from departments charged with specific tasks. But they are actively involved in production and operations, injecting impetus to the private sector by making the most of their advantages.